It is time to check in on your New Year’s resolution, to get fit and stay healthy. Have you been sticking to your routine? Are there ways you can improve? This turmeric tomato detox soup is a simple and delicious way to help reach your health goals plus bring a little nostalgia to those cold winter days! Start by heating the coconut oil in a saucepan. Fry the onion and garlic for one minute. Add turmeric and cherry tomatoes. Cook until the tomatoes soften and leave their juices. Add the tomato can, vegetable stock, apple cider vinegar, and basil. Bring to boil, cover with a lid and let simmer for five minutes. Garnish with mixed seeds and nuts. Because the soup is packed with antioxidants and anti-inflammatory nutrients, it’s the perfect thing to cleanse and balance your body. 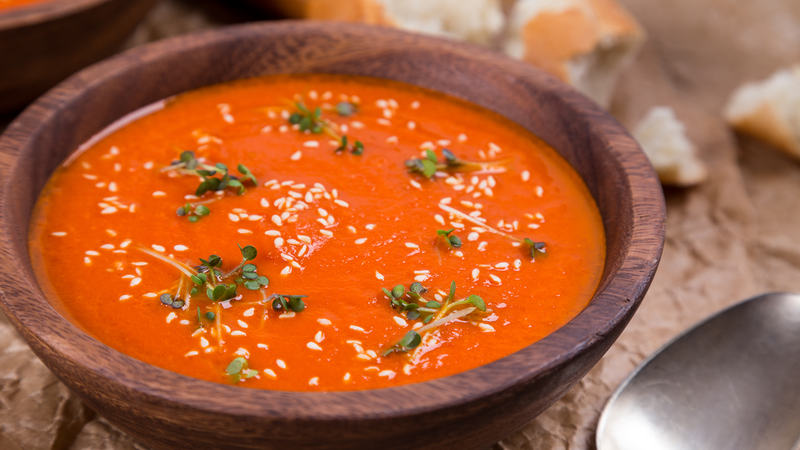 Get on the right track today, or trudge forward triumphantly, with this turmeric tomato detox soup. Check out Detoxdiy, for the original recipe.